This curry is a brilliant example of how you can replace meat for Quorn. Using Quorn offers a rich source of protein as well as a source of zinc, which has been shown to help maintain a heathy immune system. 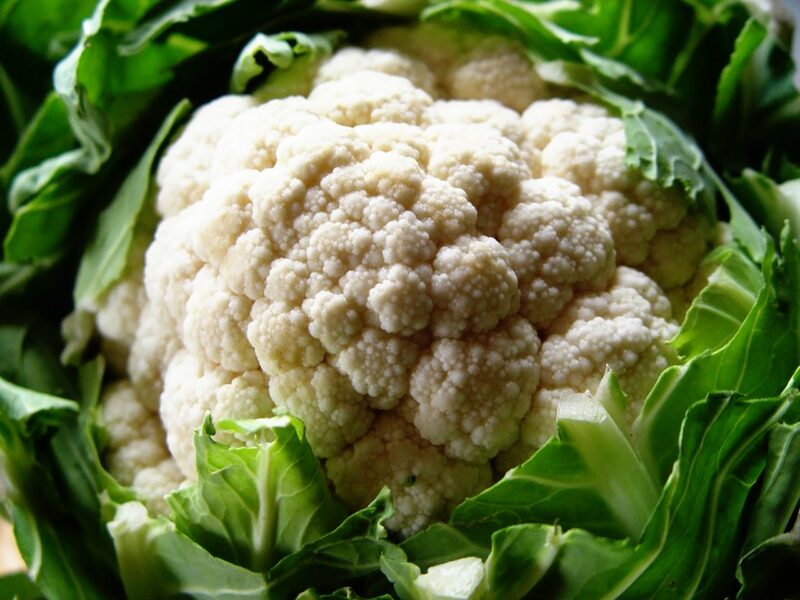 Cauliflower is also one of the most humble superfoods. Although it may not be the most colorful of foods it is packed with vitamin C and sulphur compounds that hep to protect the body against diseases such as cancer. Set a medium saucepan of water to boil. Once the water is boiling add the rice. Turn the heat down and simmer for 20 minutes until tender. Heat a large deep-sided non-stick pan over a medium heat and add the oil. Add the onion, garlic and ginger to the pan and cook gently for 5 minute until softened. Add the spices to the pan and cook for 1 minute until they become fragrant. Add 200ml of water to the pan and simmer for 2 minutes. Now add the chilli, salt, pepper, chickpeas, Quorn and sultanas then simmer for a further 10 minutes. Pour in the coconut milk and add the lime juice, mint and coriander then cook for a further 2 minutes. Check for seasoning and then take off the heat. Drain the rice and serve in bows with the curry. This entry was posted in Ingredients, Nutritious Delicious, On Diet, On Healthy Eating, Recipies and tagged Download as PDF, Free download, Healthy eating, High protein, iron, Nutrition, Quorn, Vegetarian. Bookmark the permalink. When is the best time to eat?